Maximizes your Field Day score! 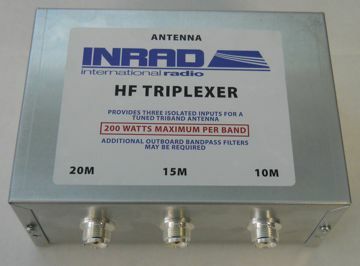 The top row above shows three xcvrs (A, B and C), each operating on a designated band. Xcvr A will receive a signal from Xcvr B which is 30 db down and from Xcvr C which is > 40 dB down, etc.